عندما تزور هذه المدينة رائعة الجمال، ستشعر أنك في بيتك في Hazel House Boutique Bed & Breakfast الذي يقدم لك إقامة متميزة و خدمات عظيمة. يمكن من هنا للضيوف الاستمتاع بسهولة الوصول إلى كل ما تقدمه هذه المدينة النابضة بالحياة. إن سهولة الوصول من الفندق إلى المعالم السياحية الشهيرة الكثيرة في المدينة هو استثنائي بحد ذاته. كما يقدم Hazel House Boutique Bed & Breakfast الكثير من الخدمات لإغناء رحلتك في المدينة. لضمان راحة ضيوفه، يقدم الفندق الخدمات التالية: واي فاي مجاني في جميع الغرف, واي فاي في المناطق العامة, صف السيارات, خدمة الغرف, غرفة عائلية . تنعكس أجواء Hazel House Boutique Bed & Breakfast في غرف الضيوف.اتصال لاسلكي بالإنترنت, اتصال لاسلكي بشبكة الإنترنت (مجاني), غرف لغير المدخنين, تدفئة, ساعة منبه هي بعض الميزات الموجود في العديد من الغرف. كما أن مجموعة الخدمات الواسعة الموجودة في الفندق لضمان راحتك تترك لك الكثير من الخيارات لقضاء وقتك أثناء فترة إقامتك. يحظى فندق Hazel House Boutique Bed & Breakfast بموقع ممتاز وخدمات يصعب منافستها. Very nice place, , excellent location' very friendly and helpful hosts. 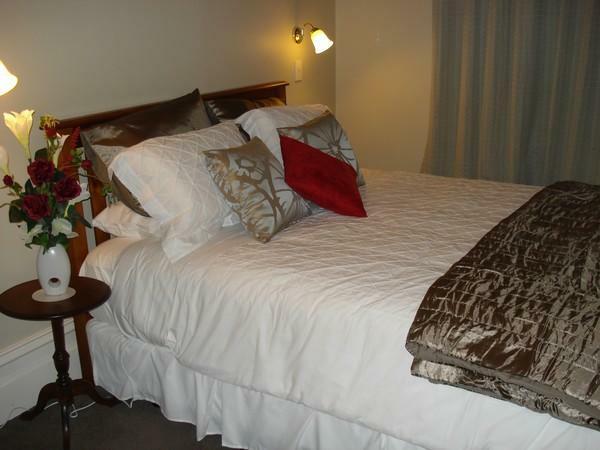 We travelled to Dunedin and enjoyed a lovely stay of two nights. 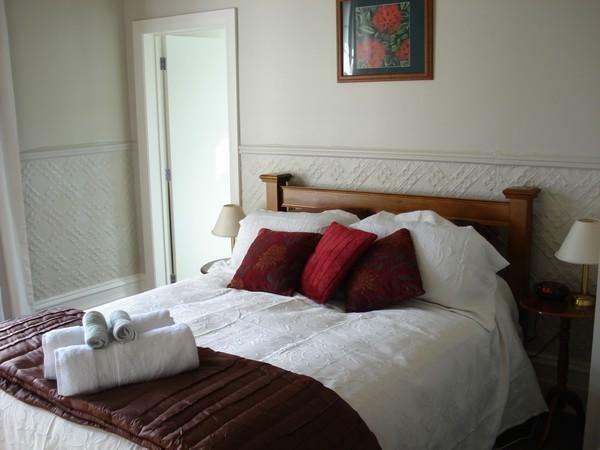 The hosts were extremely helpful, the bedroom was comfortable and the breakfasts were superb. Tourist information was provided and the guest lounge was delightful at night. We particularly enjoyed the drive to Larnach Castle nearby on the Otago Peninsula and the train up the Taieri Gorge. Highly recommended. Lovely to have you stay David. Thank you for your positive review. Sandy & I love our gracious villa, and enjoy sharing our city which we love so much. Everything you could want. Sandy and Brent are very helpful and take good care of you. The turndown service was great. Friendly hosts. And a super comfortable room! We spent two very pleasant evenings at Hazel House and would recommend it to anybody wanting a really nice place to lay your head. It's the best B&B we stay during honey moon, reminder don't check in too early. Quite simply, one of the best B&B's i have ever stayed in. Nice Hospitality , Good room and garden . Good for first time using B&B . On our arrival we were greeted by the hosts Brent and Sandy! They welcomed us to the guest lounge with a lovely cup of tea/cookies and a drink for hubby. They were genuinely interested in sharing tips on seeing Dunedin NZ and recommended several very good restaurants on the water.The B and B has been lovingly restored , is exceptionally clean with a comfy bed.Sandy also loves to bake so her homemade goodies were appreciated. Highly recommend this B/B! Hosts owners were very friendly, knowledable about Dunedin. Beautiful old house, very clean large rooms & facilities. Lovely gardens Very quiet location. My wife & I had a great stay, very friendly hosts. Enjoyed every moment in this beautiful old Dunedin house. What a lovely place to stay. The hosts welcomed us warmly and were friendly throughout our stay without being intrusive. The house itself was beautiful, the towels, robes and the dining experience all felt luxurious. Breakfast was delicious and we enjoyed having home-made biscuits. A spa under the stars was a highlight. Over all a very pleasant and comfortable stay. We spent a couple of days in Summer, on our way to the Fiordlands. The house is located in a very quiet part of the city, within walking distance to the beach. The hosts are very kind, dedicated and lovable. Breakfast was great, served in a beautiful room with a perfect view. Hazel House was a comfortable, welcoming B&B. The hosts were welcoming and assisted us with directions and gave us tips on seeing the sights we wanted to see. The room was large and comfortable. Breakfast was served in a large sunny sitting room with a beautiful view of Dunedin. Very nice. Thank you for your warm words in your review. Great you enjoyed your stay and our warm hosting. It was lovely having you stay. We love our elegant old villa too.